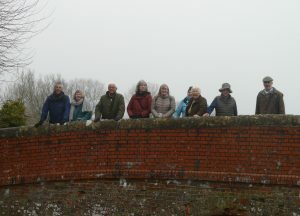 The first of the 20th Anniversary year events was held on 5th February. 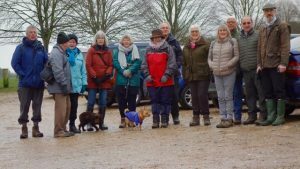 Andrew Goodland organised a train ride, a walk and a pub meal for 14 members. 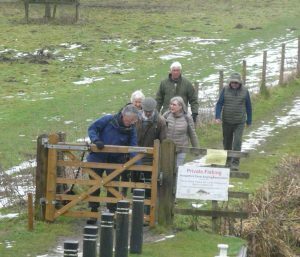 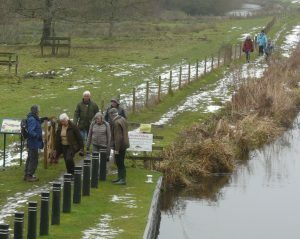 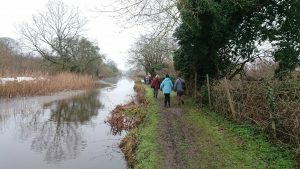 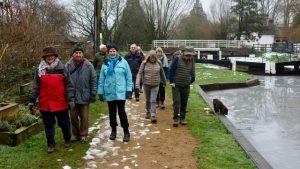 The canal was frozen in places, there was snow on the ground and the towpath was muddy, but a good time was had by all.